“Europe has traditionally large and strong chemical, food and consumer goods industries, and these have shown that they are very aware of the necessities and opportunities to change more and more to biotech enabled or biobased production and products. Perhaps there should be more that do so and it should be faster, reflecting the often-heard statement that Europe is good in science and not so good in upscaling and commercialization. Some of them point however to the more attractive business environments in for example the USA and Brazil, and act subsequently”. To say it in this long interview with Il Bioeconomista is Ernst Kloosterman, CEO of the Industrial Biotechnology Network Norway, a not-for-profit member association of organizations and individuals who want to stimulate to more research, knowledge transfer and innovation within the Norwegian biobased industry and industrial biotechnology sectors. With him we talk about the bioeconomy in Norway and Europe, with a look outside Europe. What is the bioeconomy from your point of view? And the wood-based economy? 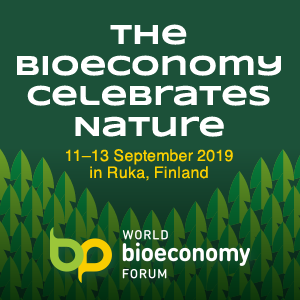 The bioeconomy has been there in all times, but stimulated by the fantastic developments during the petroleum age, which we are still in, we see that the change to a knowledge-based bioeconomy has started seriously and gained significant momentum. Biotechnology in its whole spectre contributes now significantly to the economic output of many countries. For me, bioeconomy involves three elements: biotechnology, renewable biomass and integration across disciplines, i.e. feedstock suppliers, technology providers and product developing industries. In case of a wood-based economy, the feedstock suppliers are forest owners or those who deliver the woody material for further processing. There is good reason to say that wood for construction is part of the bioeconomy, and perhaps one of the smarter applications of wood as well, however, in a knowledge-based perspective I think of the biotechnology-enabled processing of woody material to commodity products and, preferably, high added-value products. So products ranging from biofuels to food additives, fish and animal feed, and nano-materials. Fantastic products can be made from wood, and this requires very competent and innovative R&D and industry actors. How strategic is considered the bioeconomy in Norway? Do you already have a National plan on the bioeconomy? Norway has implemented national strategies on biotechnology and (marine) bioprospecting for roughly ten – fifteen years ago, between 2000 and 2009. This has contributed to the development of biotech platforms, excellent infrastructures and highly competent and skilled scientists. We now see that this contributes strongly to the development of the industrial biotechnology and biobased industry sector in Norway. Its growth potential is large in Norway, as the country is rich on natural bio-resources and highly educated people. The awareness of this and its meaning for the development of a much more sustainable economy has now dawned and the good thing is that the process for the development of a national bioeconomy strategy has begun. In the meantime, we should not forget that we have a large and strong aquaculture and fisheries and seafood industry as well as a large and well-developed marine ingredients industry. What are the most important measures to support this meta-sector? The most important measures to support the bioeconomy sector are smart financial incentives, financial risk reductions, investing in knowhow and knowledge (education included), support programs for developing and implementing new knowledge and technologies in industry, stimulate innovation (innovation platforms, where different technologies and sectors meet), inform and educate society and (potential) stakeholders about the positive societal and economic impacts. Also, understand the societal needs. This includes applications and markets and environmental and food security issues. And the main bioeconomy players in your country? That depends on how you look at it. 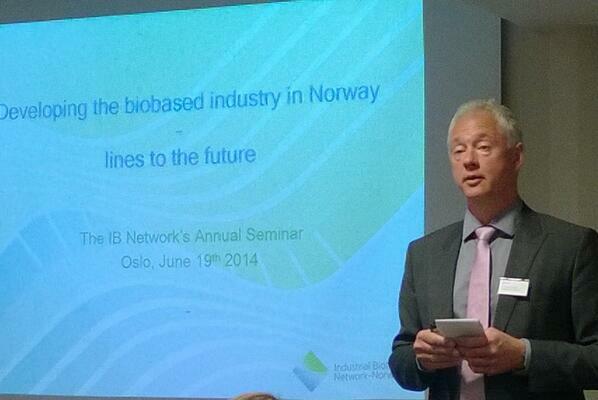 Norway has some strong and advanced biotech and biobased companies. They are world-leading or very much in the top in what they are doing. These industries are important, but still not large or powerful; they are not national players in the forefront of developing or funding new spin-outs and research programs. We have high-level Norwegian universities and research institutions that have increasingly significant programs and contributions to the development of the bioeconomy. Also the public facilitators like the Research Council and Innovation Norway are important players, which have an increasing focus on developing the bioeconomy. Last year they organized the first national bioeconomy conference, with that name, in Norway; a kind of Bioeconomy launching conference. These organisations stimulate and support strongly the collaboration of players over the disciplines and different sectors, and the establishing and execution of new industry directed projects. Additionally, in some parts of the country, well-organized biotech clusters are growing, getting stronger and more professional in the development of their industries and intra-cluster collaborations. Summarizing, there is a good number of professional bioeconomy players, more than that there are some main national players. At the Industrial Biotechnology Network Norway (IBNN) we believe that in the absence of large national industries and in addition to the development of individual skills and excellence, it is the collaboration across disciplines and sectors that stimulates to more innovative developments and industrial growth, i.e. more value creation. Additionally we recognize the importance of international collaboration for the national development. According to McKinsey by 2020 global demand for biobased products could grow to 250 billion euros. How can European industry be ready to face this challenge? My impression is that the European industry is ready to a large extent. 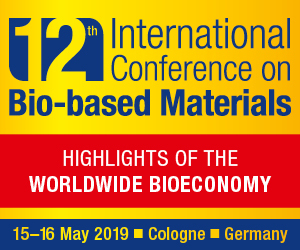 Europe has traditionally large and strong chemical, food and consumer goods industries, and these have shown that they are very aware of the necessities and opportunities to change more and more to biotech enabled or biobased production and products. Perhaps there should be more that do so and it should be faster, reflecting the often-heard statement that Europe is good in science and not so good in upscaling and commercialization. Some of them point however to the more attractive business environments in for example the USA and Brazil, and act subsequently. I also see that small and starting companies tend to test or launch their new (life science) products in the North American markets, not in Europe. 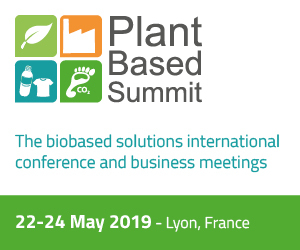 So European industry faces the challenges and succeeds in implementing new biobased industries/productions, but faces also a more difficult European market. This sector is in general high-science, high tech, high cost and high risk. Time, approval and acceptance are determining success and the perceived cost of success in a market or region is crucial for getting funding or starting an upscaling or implementation process. Additionally, it is also about working hard, being effective, entrepreneurial, understanding your markets. What should the EU do to create a more favorable environment for industrial investment in the bioeconomy? Certainly many specialists deal with this, already for many years. The problems however seem to remain unsolved. If one states that it is more favourable in ‘the other markets’, why not creating the same favourable environment? The solution lies before our eyes, but we don’t see it!